While the Easter holiday is traditionally not a heavy traffic weekend, this spring’s decrease in gas prices and predictions of pleasant weather for this Easter weekend may impact travel. In addition, many North Carolina schools are on spring break contributing to traffic congestion. However, do not try to make up for time lost by speeding—according to the North Carolina Department of Transportation, speeding is one of the main causes of crashes and fatalities on North Carolina reads and was a factor in nearly 400 deaths last year. Due to the increased amount of traffic it is especially critical to pay a little more attention to the speed limits and your driving habits during this holiday travel time. 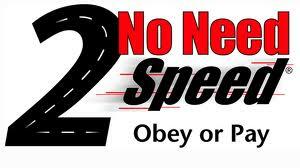 Also, the Governor’s Highway Safety Program has teamed up with law enforcement across the state to step up enforcement as part of its “No Need 2 Speed” campaign in order to get motorists to obey the speed limit and slow down. The focus of the officers’ effort will be noticeable on all roads, including interstates, major highways, rural two-lane roads and city streets across the state. This week-long campaign was kicked off on Sunday, March 24, 2013 and will last through March 31, 2013. However, should you or someone you know receive a traffic ticket, get into a fender bender, serious accident, or receive a DUI/DWI, call us at (910) 793-9000 (910) 793-9000. This weekend, on March 17, we will be celebrating Saint Patrick’s Day which is a cultural and religious holiday. Saint Patrick (AD 385–461), after whom this holiday is named, is the most commonly recognized of the patron saints of Ireland. Saint Patrick’s Day commemorates the arrival of Christianity in Ireland and was made an official feast day in the early 17th century. This holiday is observed by the Catholic Church, the Anglican Church, the Eastern Orthodox Church and the Lutheran Church. 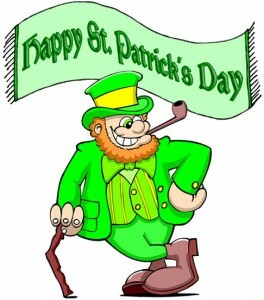 Nowadays, Saint Patrick’s Day has also become a celebration of Irishness and Irish Culture in general. Celebrations of Saint Patrick’s Day involve public parades and festivities, and the wearing of green attire and shamrocks. Prohibitions of the Lenten season against the consumption of meat and drinking alcohol are waived for the day. Last year, unfortunately, more than 200 fatal collisions occurred due to drunk drivers who decided to get behind the wheel after Saint Patrick’s Day celebrations. In an effort to deter those who have been drinking from getting behind the wheel, thousands of law enforcement officers across the state will be on patrol and DWI checkpoints. If you find yourself questioning weather you had too many stouts, lagers, cream ales, ales, or else, do not risk getting arrested or worse, endangering your life or the lives of others. Play it safe and call a cab or have a sober friend take you home. However, should you or someone you know receive a traffic ticket, get into a fender bender, serious accident, or receive a DUI/DWI, call us at (910) 793-9000 (910) 793-9000 .